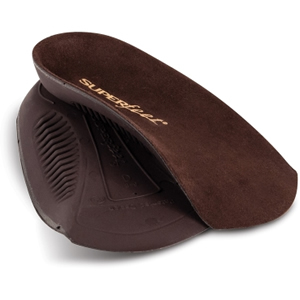 Superfeet insoles are a good choice if you have painful feet and want to try ready made insoles. 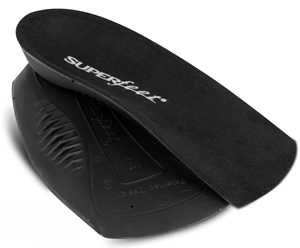 Superfeet insoles will help make your feet more comfortable if you have arch pain, fallen arches, flat feet, heel pain, plantar fasciitis, excessive or abnormal pronation, and tired and aching feet. 3/4 Insoles For men. These 3/4 length insoles will easily go into regular shoes. They will help support the foot and re-align the body. High Heels For women's high heeled shoes. An extra comfort insole for sensitive feet with extra foam layers. For people with flat feet and those who normally find orthotics uncomfortable. For shoes that can accommodate a full length insole. Very useful for diabetics, and patients with plantar fasciitis, bunions, heel spurs and painful plantar callus. 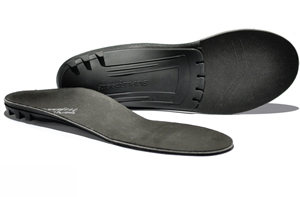 However this insole is thicker than some orthotics so your shoes need to be able to accommodate this extra thickness. 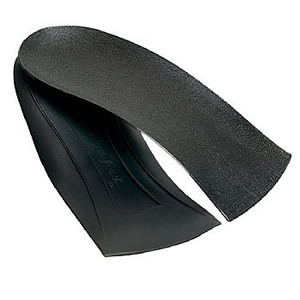 If your shoes are tight fitting these orthotics will not fit. If you want to put a full length insole in a shoe you must have room for the insole. Unless your shoes are extra deep this normally means you have to remove an existing full length insole from the shoe to make room for the orthotic. It is no good filling up your shoe with an insole which will make the shoes too tight and not leave enough room for your toes. 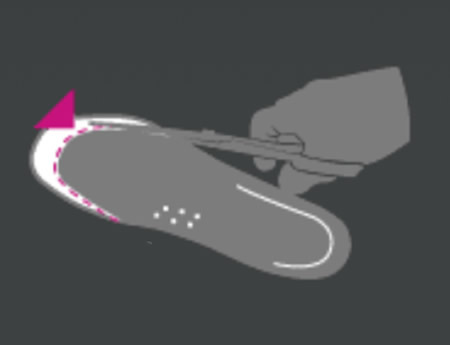 It might be necessary to trim a few mm from the toe end of the insoles so that they fit into your shoes - you can remove the existing insole from the shoe and use as a template. 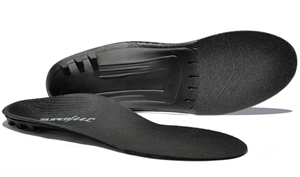 For tighter fitting dress and slip on shoes you will normally only have room for a 3/4 insole - this is an insole which goes from the heel to the metatarsal heads. 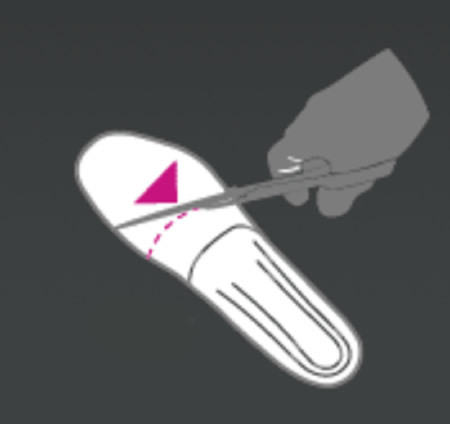 Either buy the full length black everyday insoles and cut them to size as in the diagram, or buy the 3/4 insoles.